Like all Mainstream Pokemon Games, there are a number of Pokemon you can receive as gifts throughout your journey in this game as well. The sixth Gift Pokemon you will have the chance to obtain is none other than Arcanine. Within Vermilion City, you will find a character who will ask you if you personally prefer Growlithe or Meowth. No matter which you select, this person will ask you to go catch five different Meowth. 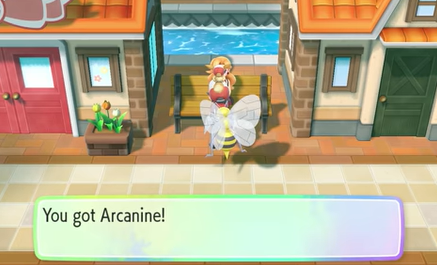 After doing so, they will personally give you an Arcanine.